It's official, I'm signed up and training for The Cowtown Marathon. It's still a few months away but the training has already picked up significantly. Aside from a heel spur acting up and a new routine of early morning running in the dark, I'm enjoying the increased milage and more focused training. After months of intense training for the Detroit Marathon, I took the last week of October off to recover from the race. Then another week. Then another. Then I had a plantar wart removed from the bottom of my foot which, by the way, is incredibly painful. It meant a couple more weeks off. Then it was the holidays. And now, nearly eight months have passed with only negligible training (see nearby chart). The fitness I’d built up is gone. Time to start anew, methinks. “So what do we do? Anything. Something. So long as we just don't sit there. If we screw it up, start over. Try something else. If we wait until we've satisfied all the uncertainties, it may be too late." "It would seem I've got at least one more in me." This sentence from my last post seem to have taken on some additional meaning. It's been about ten months sense I posted that entry and roughly nine months since I ran the Detroit Marathon. The low point of the race was while shuffling through Chene Park along the Detroit River. Sure, it's nice running along the river, but the course takes some awkward twists and turns in the park and along the marina. Making matters worse, this section of the race you're hitting mile 22, 23, and 24, when most runners (myself included) are crashing into the wall. Once over the hump, and with the finish near at hand, things started looking up again. The last couple miles were tough but rewarding. I'd trained hard for 18 weeks, missing only a single workout, in preparation. Crossing the finish line right on time, with family watching (and with +Cabe Morphew running behind me) was awesome. It was also redeeming after really disappointing Austin Marathon. "To admit you want to have a comeback means you have to admit you weren't what you were supposed to be. You dropped below your own standard." I've completed seven marathons in my ten years of running. It would seem I've got at least one more in me. 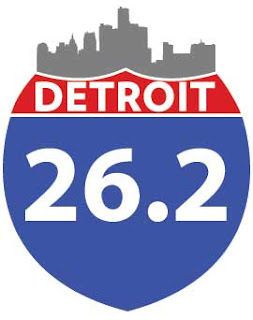 Come 21-October, I'll be at the starting line of the Detroit Marathon -- one of the only marathons that crosses an international border (into Canada). Participants are actually required to present a valid passport to pick up race packets! But the best part about this race is that I get to run it with my big brother, The Ubster. If you pay attention, gaining wisdom is as simple as aging. Open your eyes and your ears and you learn a little along the way. One of the things I’ve come to learn is that experiences always trump material goods. High-end electronic gadgetry quickly becomes outdated, fashionable clothing fades from style, and novelty items depreciate faster than new cars. By contrast, a great memory only appreciates over time. My wife, in her infinite wisdom, has known this gem to be true most of her adult life. And she’s rewarded me with amazing experiences again and again and again. I turned three and one half decades old recently and my bride has rewarded me with another experience that, I suspect, I’ll thoroughly enjoy and never forget… driving an open cockpit Indy race car at top speed around the Texas Motor Speedway! 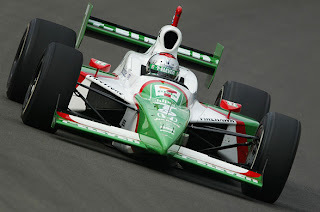 Even though I have to wait until September (first available opportunity), I’m all geared up to speed around the track. On Sunday, February 26, 2012, I ran the Cowtown Half Marathon in Fort Worth, TX. Obviously, it's taken me some time to get this blog post written and published. This latency is due, in part, to the general madcap pace of life, but more so, it is due to my disappointing race performance. To be absolutely clear, The Cowtown Marathon and Half marathon are terrific races. They're fun, flawlessly managed, well supported, and the course passes through some exceptional neighborhoods. In short, I have nothing but praise for Cowtown and I look forward to running this race again some time. My personal performance is another matter. Going into the race, I had a base of about 25 miles per week and I'd put in a number of long runs. I was feeling strong and reasonably fit. The truth of the matter is that I was only modestly prepared. Sure, I was healthy and race conditions were good, but I was not in peak condition. My training lacked speed work, hill work, and plain old fashioned mileage. My mistake was not spending any time thinking about a realistic outcome given my modest training. At some level, I think I was expecting to throw down personal record. In retrospect, I actually am pleased with the effort and the result. I set a clear goal and was diligent and focused on achieving it. At race time, I set out at a respectable pace and maintained it for thirteen miles. An accomplishment in my book, even if it took me a few weeks to realize it. A clearly defined goal helps when it comes to motivation. Toward that end I've gone ahead and registered for the Cowtown Half Marathon! Many moons have passed since my personal best at the New York City Half Marathon so I certainly don't anticipate breaking any records at Cowtown! But caveats noted, I have been running fairly consistently for the past few months, I've even logged some longer runs, and my tempo pace is respectable (relatively speaking!). Perhaps with some speed work over the next few weeks I'll be poised to throw down a solid race. Perhaps another 1:40? Back in September I decided I'd commit to running at least 20 miles per week. I figured this would put me in decent shape for the Dallas Half Marathon and then possibly a go at the Cowtown Marathon. Well, since making that commitment my total mileage is a bit over 342 miles. Unfortunately that averages out to about 19 per week; obviously shy of my goal. Not too thrilled with that big goose egg in November either. 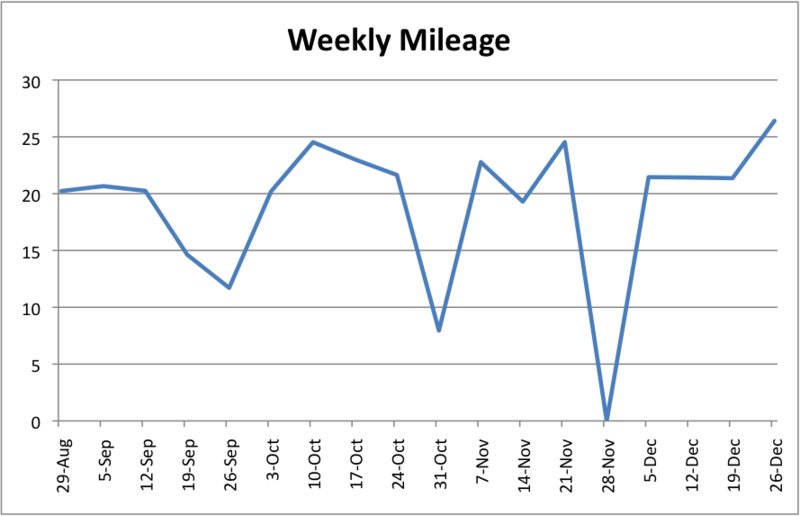 Regardless, having a plan, even as simple as a weekly mileage target, is beneficial. It's a plan I intend to adopt for all of 2012. I'm also rethinking my race strategy and running the Cowtown half. This morning I clocked in a solid 10 miler. I didn't run particularly fast but I felt okay and managed even splits - amazing, given the massive steak dinner and copious amounts of pinot noir I enjoyed last night. It's been a long time since I've knocked off a double digit run. Feels good. Inspired by the Ubster, who ran the Detroit Marathon Sunday morning, I decided to go long today and click off 8 miles, which brought my weekly total up to 24. 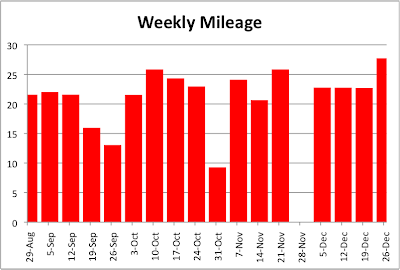 While fairly pedestrian when compared to my weekly mileage of years past, it is a notable achievement under my current circumstances. Now the question becomes, can I maintain? Not by much and with little time to spare, but, I reversed the trend and hit 20 miles for the week. Consistency is difficult to achieve. Apparently, it's also difficult to maintain... I suppose that's the point. Business trips and birthday parties notwithstanding, my training has fallen short of goal these past couple of weeks. There's nothing to be done but to lace up and head out. 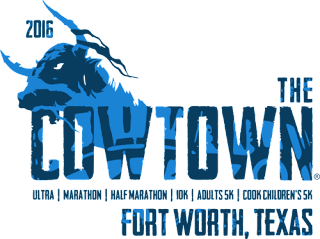 I'm beginning to consider running another marathon this winter; most likely the Cowtown Marathon in Fort Worth. But before signing up, I'm trying to regain some consistency and build my base back up to a minimum of 20 miles per week. If I can maintain this foundation for September and October, I'll be positioned well to transition into a formal marathon training plan in November. Things got off to a good start the first week of September but have already fallen apart here in week two - a big old goose egg so far. I suppose I have a couple of days to run remaining in this week, but getting in 20? Dubious given my schedule. If the stars align just so, I might be able to skip lunch and squeeze in a run today. Working out on Friday would require a very, very early start (but doable). Saturday is rather iffy but I'm pretty sure I'll be able to run Sunday. So maybe 5 miles per day for the next four days... or 5 today and tomorrow then 10 on Sunday. I came across this sign recently. Sharing it today, on Labor Day, seems highly appropriate. Generally speaking, I tend to steer this blog away from political commentary. Personally, I sit somewhere in the middle of the political spectrum favoring pragmatism over propaganda and solutions to actual problems over news media sensationalism. Today I received the below email from Howard Schultz, CEO of Starbucks Coffee, and am compelled to share it. Our political leaders have become entrenched in partisanship and are focused, almost exclusively, on party loyalty and reelection. I suppose it should come as no surprise that it is the private sector, not the government, who is standing up and affecting change on behalf of the United States. After all, industry's motives are clear... when Americans are employed we buy goods and services, and private industry reaps the profit. These profits can then be further re-investment in innovation and new jobs. To the Founders, Chairmen, CEOs, and Directors of the organizations supporting Mr. Schultz and Upward Spiral, I commend you and genuinely hope that you are true to your pledges: Withhold your political contributions, decline those $10,000 a plate political fundraisers, and do not contribute to PACs. Instead, re-invest in your organizations, in your people, and in America's future. Over the last few weeks and months, our national elected officials from both parties have failed to lead. They have chosen to put partisan and ideological purity over the well-being of the people. They have undermined the full faith and credit of the United States. They have stirred up fears about our economic prospects without doing anything to truly address those fears. They have spent a resource even more precious than the dollar: our collective confidence in each other, in the future, and in our ability to solve problems together. As leaders in business, we have watched all this unfold, first with frustration and then with dismay. Like so many of our employees and customers, we are gravely concerned about the current situation. Today, with both humility and urgency, we propose to do something about it. First, we aim to push our elected leaders to face the nation's long-term fiscal challenges with civility, honesty, and a willingness to sacrifice their own re-election. This means not kicking the can anymore. It means reaching a deal on debt, revenue, and spending long before the deadline arrives this fall. It means considering all options, from entitlement programs to taxes. This is what so many common-sense Americans want. That is why we today pledge to withhold any further campaign contributions to the President and all members of Congress until a fair, bipartisan deal is reached that sets our nation on stronger long-term fiscal footing. And we invite leaders of businesses – indeed, all concerned Americans – to join us in this pledge. We also believe in leading by positive example. And we believe that while the long-term fiscal challenge is serious, even more painful to millions of Americans today is the immediate crisis of jobs. 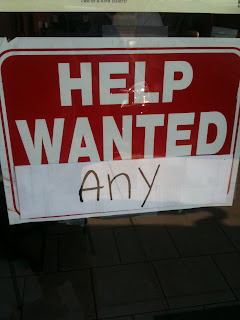 Tens of millions are unemployed and underemployed. Right now our economy is frozen in a cycle of fear and uncertainty. Companies are afraid to hire. Consumers are afraid to spend. Banks are afraid to lend. Record levels of cash are piling up in corporate treasuries, idling. That cash is not being used to expand operations, train new workers, underwrite new ventures, or spark innovation. The only way to break this cycle of fear is to break it. The only way to get the country’s economic circulatory system flowing again is to start pumping lifeblood through it. That is why we today issue a second pledge. Our companies are going to hire. We are going to accelerate growth, employment, and investment in jobs. We do this because we want to set in motion an upward spiral of confidence. We are not waiting for government to create an incentive program or a stimulus. We are not waiting for economic indicators to tell us it’s safe to act. 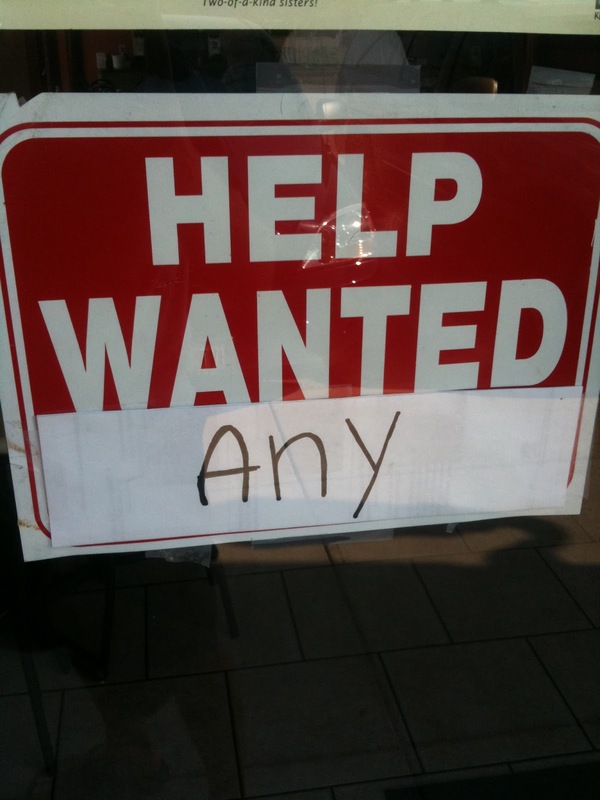 We are hiring more people now. We invite leaders of businesses across the country to join us in this pledge as well – and to bring their stakeholders into the effort. Confidence is contagious. The best thing we can do now is to spread it. This is a time for citizenship, not partisanship. It is a time for action. We don't pretend that our two pledges are quick fixes. We just believe that in this moment of great uncertainty, the government needs discipline, the people need jobs – and leaders need to lead. Our country is better than this. Let’s get things moving now. Must buck up, lace up, and hit the road tomorrow morning. No excuses! My brother, The Ubster, is training for his first marathon and recently asked me about running when sick. His timing is interesting because I, too, am struck with some form of sinusitis and am struggling with the question: am I well enough to go for a run? The generally accepted rule of thumb is if you’re sick from the neck up (head cold, sore throat) then you can run. But if you’re sick from the neck down (flu, respiratory virus, other unmentionable nasties...) then you should not run. All of that said, I'm now of the opinion if you have to ask yourself that question you should take the day off from working out. After a weeklong domestic road trip followed by a weeklong stint in South America followed by a weeklong malaise, I thought myself well enough to get in a 15k. I had to cut the run short and have relapsed into my sniffling and hacking ailment. If, like in The Ubster's case, you're scheduled for an important long run in a calculated training plan then rejigger the training plan by shifting or dropping a mid-week recovery or tempo run. Otherwise a couple of days off will not ruin your fitness and may actually do you some good (muscles get broken down during workouts and are only rebuilt on rest days). So if you're asking yourself "Am I too sick to run?" then it may be time to trade in the Gu for some chicken soup! Quite obviously, I've not bothered to post anything new in some time and have been considering killing this blog or at least taking it private. Instead, I came up with a few reasons to keep writing.